07 Mar Why does your child jump on the couch? 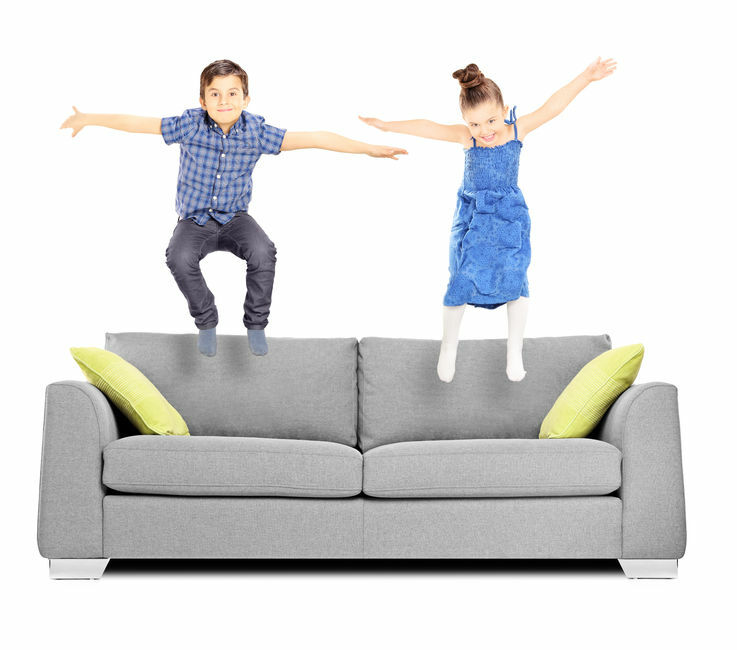 Children all around the world, with and without autism, love to jump on the couch. Why is this? Kids need an outlet, a safe place to release energy so that they can try to fully focus on the world around them. Your couch seems like the best place to do this, doesn’t it? It’s cushiony, cozy, family gathers on it, it’s in the center of the home, and it’s got a great bounce. 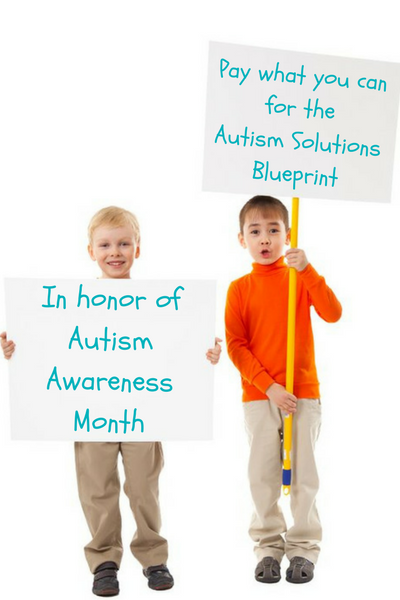 If your child with autism is constantly bouncing on the couch, he is probably trying to tell you something. He is letting you know that his body needs input. Occupational therapists often refer to this as proprioceptive input, which is input that your body is receiving through its joints and muscles. This input can be obtained from pushing and lifting objects, doing push-ups, jumping up and down, and pulling objects. After your child receives proprioceptive input, he will most likely feel calmer and have an increased awareness of his surroundings. He is going to feel so much better, which will positively impact not just his mood, but yours as well. He will probably be able to sit longer for meals, and even attend to tasks like homework in a chair. Perhaps you don’t like when your child jumps on your beloved living room furniture. What can he do instead? You can offer him his bed, an air mattress, a mound of pillows, a trampoline, an exercise ball to sit on and bounce, or even teach him how to do jumping jacks. Whatever it is that you encourage him to do, be sure to allow him to jump until his heart and his body are content. Of course, monitor all activities and make sure there are no tables with sharp edges near his jumping. You may even consider jumping with your child, and then you can see what all the fuss is about! Here’s something else that’s pretty important for you to know: if you stop your child from jumping, he is going to find another way to get his needs met that may be even less desirable than bouncing on the couch (like climbing onto counter tops and jumping onto the kitchen floor…I speak from experience). Oh, and when your child finds something that helps him calm his body down, be sure to share this strategy with his teacher and grandparents too. Please share below. Does your child love to jump? If so, where is his favorite place to jump? My three year old love to jump from night table to my bed…????? That’s awesome Millie! That jumping is providing his body with such great input. My grandson always loved jumping! He jumped a lot on my bed when little.! To save the mattress and other furniture I got him a mini trampoline with a counter. He loved jumping on it and counting his jumps. It worked wonders in getting his yayas out, as I call it, and meeting his sensory needs. He is nearly 10 now and doesn’t jump as much, but still jumps up and down when excited and sometimes asks to hold both my hands so he can jump up and down real high with some support. ? My 4yr old daughter loves to jump. I was thinking about tumbling classes. When my grandson was younger we built an “obstacle course” in the living room with couch cushions, pillows, upholstered ottoman, etc. for climbing, sliding and jumping inside during the cold dark winter months. Now he has a mini trampoline used quite a bit but still likes to pile up the pillows and climb in! Also keep hula hoops handy. We all like those! This is great Joan! I am sure your grandson is most grateful! My 9yr son like to jump edge of his bed when he excited about seeing someone or something . It makes him so happy . We are waiting for our new couch to arrive! After years of punishment it finally gave up on us and fell apart… We brought it because we wanted something solid and it cost us a fortune… When it fell apart we realised it was terribly made so this time we really looked into what was hidden under the material! Not that I think it really matters… This one to will have a much shorter life in our house than it would have if someone else chose it for theirs! Having said that our boy has lots of “other” options these days and he is much better around couch now so fingers crossed! Our boy is like a seal on his fit balls (we have two for him, one downstairs and one in his room) he has a core like no one I know even at 6ft and 100kg. His trampoline outside is the biggest we could get and we have custom made his bed as this cops a hiding and brought ones just don’t cut it! It’s so great that you are meeting his sensory needs! Way to go!